Product description: Rabbit polyclonal antibody raised against synthetic peptide of Tlr11. Immunogen: A synthetic peptide corresponding to amino acids 900-950 of mouse Tlr11. Application image note: Intracellular flow analysis of Tlr11 in Balb/c mouse splenocytes. Using Tlr11 polyclonal antibody (Cat # PAB0229) at 0.5 ug/10^6 cells. 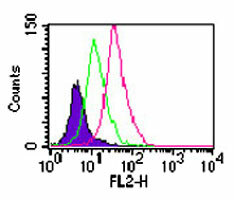 Shaded histogram represents cells without antibody; Green represents rabbit IgG isotype control; red represents anti-TLR11 antibody. 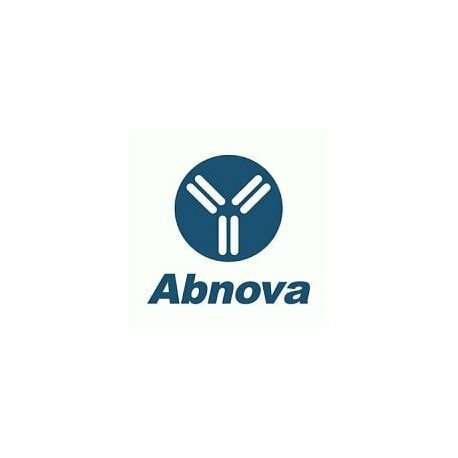 Goat anti-rabbit PE was used as secondary antibody.